The Crazy Nutshell is a snap on cover designed to fit over the P’Nut and Nut’Z helmets. Besides protecting children from rain, snow and dirt it also makes it possible to quickly change the look of the helmet. 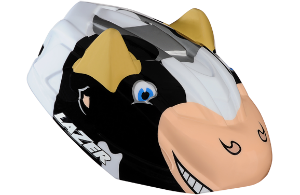 Everybody knows children get bored easily, with the Crazy Nutshell your kid can have a new look on his helmet every day!